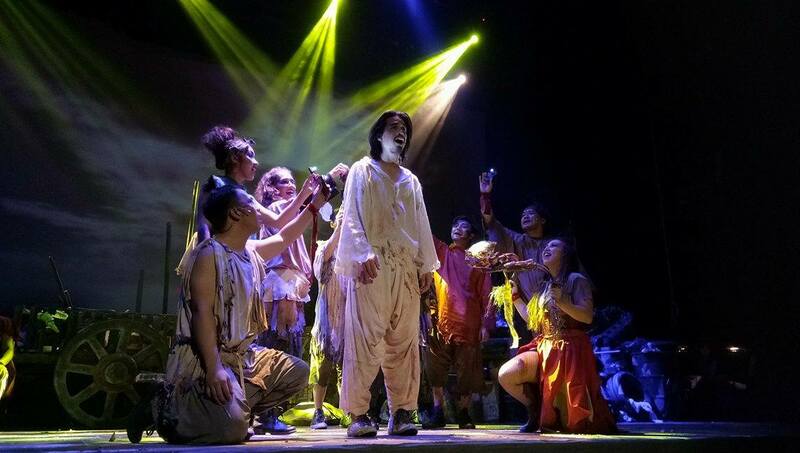 Evo & Grace: The WanderLusts: The return of Godspell in Manila, a theater review. 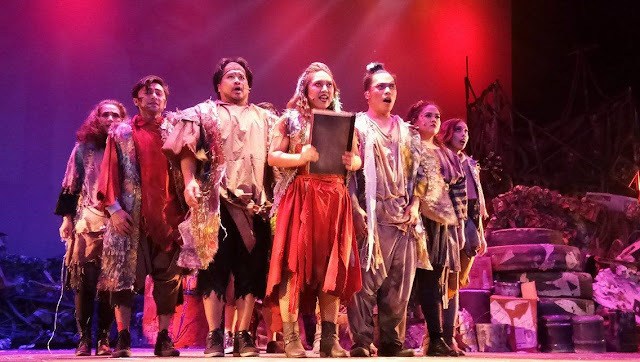 The return of Godspell in Manila, a theater review. Now on its tenth year as a private production company formed in 2007, known for staging wide array of musicals, operas, concerts, workshops, recitals, special corporate events, and even mall and holiday festivities, MusicArtes Inc. staged its first Broadway rock musical. 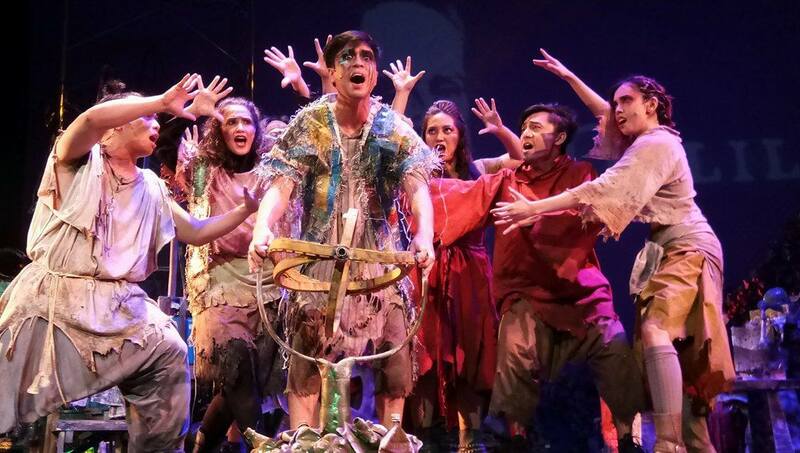 Godspell from the creator of blockbuster musicals Pippin and Wicked had its second run in Manila recently at Carlos P. Romulo Auditorium. With music and lyrics from the award winning lyricist and composer Stephen Schwartz, Godspell marked as his first musical masterpiece created in 1971 followed by Pippin and Wicked. He was hired by the producers to write new songs and incorporated his musical styles. Who would have thought that this master 's thesis project based on the Gospel Of Matthew by the American playwright John-Michael Tebelak will become such a hit and critically acclaimed? Godspell opened as an Off-Broadway show in May 17, 1971 which later opened in Broadway's Broadhurst Theater in 1976 and since then has been performed and revived multiple times in many countries. From stage play to screen play, two years after its Broadway debut, the musical was then adopted into film in 1973. The Manila production had its first run in 2016, conceptualized and directed by Aliw Hall Of Fame Awardee Anton Juan, known both locally and internationally. His creative direction was very vivid onstage as the powerhouse casts delivered, sung and danced the series of parables. 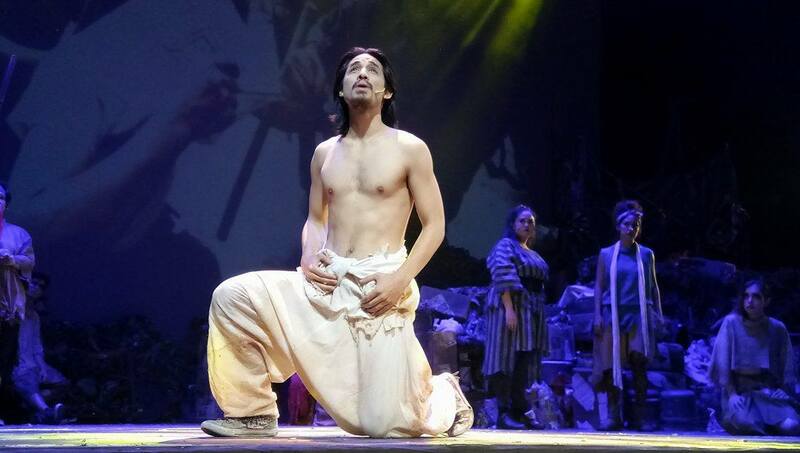 Jef Flores was typically, traditionally and perfectly casted as Jesus. His looks and aura whether pantomine, non verbal or verbal was in fact convincing. His vocal interpretation was another satisfying from pop, comic, biblical and dramatic. Myke Salomon doubling as John, The Baptist and Judas Escariot debuted his shifting characters as required. Featuring veteran, season and stellar thespians Menchu Lauchengco Yulo, Poppert Bernadas, Caisa Borromeo, Maronne Cruz, Topper Fabregas, Rhenwyn Gabalonzo, Lorenz Martinez, Gab Pangilinan, Abi Sulit and Shiela Valderrama-Martinez, credit to the ensembles for interpreting and exuding an entertaining and thrilling, this musical in two act and even during the intermission. Otto Hernandez created a junkyard to provide the setting, which reminded me of the production design of the fame musical Cats. Instead of the moonlight as the backdrop, video images ranging from comic, economic, social and political were projected. In this production, the live band directed by Ejay Yatco was seen onstage, which typically offstage in most productions. Inspite of the limited space onstage, the choreography by Dexter M. Santos did a great job for blocking and dance routine of the entire cast. What a perfect mood, comparison and contrast for the lighting by John Batalla. Congratulations MusicArtes Inc. for another milestone run. Godspell returns happens last May 6-7, 12-14 & 19-21 at the RCBC Plaza.